The idea for a series of Eevee evolution pokemon gijinkas for a long time. I wanted to depict all of Eevee’s evolutions as fantasy-themed characters. Espeon is the psychic type evolution of Eevee, so I naturally saw Espeon as an elegant spellcaster. To depict this, I gave Espeon a long dress with flowing tails and loose sleeves, then added a sense of whimsy to the costume with lace overlays and beaded trim. Even though I saw Espeon as more of a spellcaster, I still felt it fitting to add a transparent purple dagger, which I styled with a rolling silhouette and dark to light gradient, reminiscent of Espeon’s physic attacks. I patterned everything for this costume from scratch, starting with the waist cinched and ending with the ears on the hood. The dress is made to open and close at the sides with ribbon detail in front. The hood is completely separate and the ears are supported by a Worbla’s Kobracast Art structure and magnets that attach to my wig. My armor is made using EVA foam covered in fabric, which you can find a full tutorial for here. 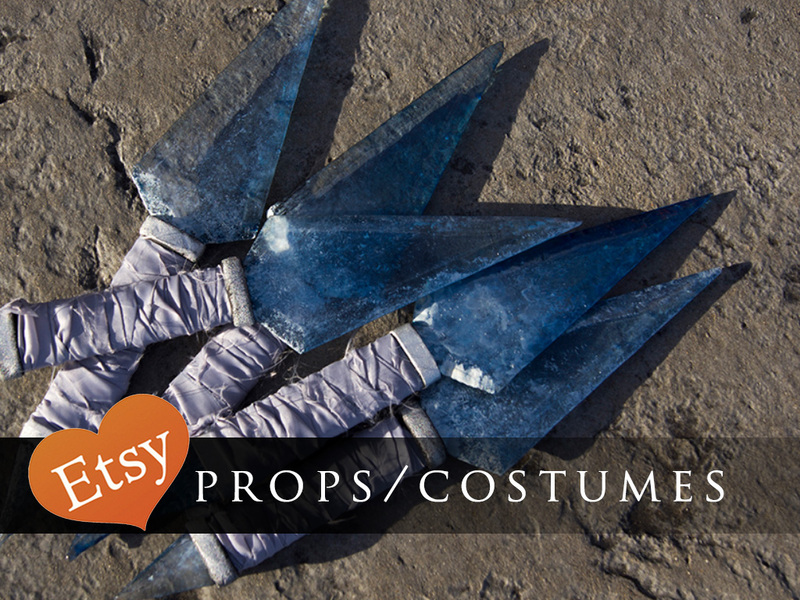 Last, the blade is one my solid acrylic prop daggers, which you can find in my Etsy Shop!